Environmental issues can have a major impact on your life, whether they occur at home, in your business, or in your community. When disaster strikes, you need an environmental services company you can trust for fast, reliable service to help you through the disaster. You can trust Banner Environmental. With more than 25 years of experience, our professional teams of trained and licensed technicians stand ready to identify and mitigate environmental damage from asbestos, mold, and black or gray water flooding. Locally owned and operated, we can service your needs throughout Rhode Island, Greater Boston, Cape Cod, and the Islands. Our free, no-obligation estimates allow you to budget accurately for the services needed. We pride ourselves on rapid response, strict compliance with all legal ordinances including OSHA and EPA guidelines, and a commitment to the highest standards. 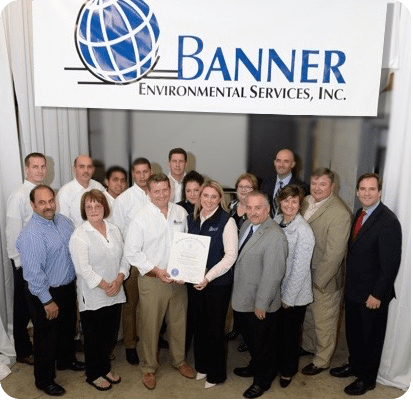 When you choose Banner Environmental for asbestos remediation, mold removal, or water cleanup, you can rest assured, knowing you have made a commitment to the safety of your family, your customers, and your community. Call Banner Environmental at 866-934-2374 or contact us for a free estimate.